How does a professional come to be seen as a leader within a professional organization? How do leaders maintain their position once they have reached the top? How do they navigate the complex power relationships among their professional colleagues and actually get things done? 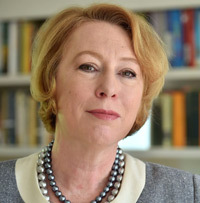 Professor Laura Empson’s new book, Leading Professionals: Power, Politics and Prima Donnas (Oxford University Press), is the result of more than 20 years of research into professional firms and their leaders. It uncovers the complex, messy and surprisingly emotional challenges of leading professional organizations, and explains why leaders so often fail. Join this book launch and a discussion on: Wednesday, 4th October 2017 at Cass Business School. Further details about the book can be found here.